Dwarf Blue Scotch. Black Tuscan. Red Russian. Lacinato. Dinosaur. All kale. Some different names for the same variety, all available as seeds from my favorite grower Uprising Organics. Kale is a hearty green. Hearty means thick leaf, tough vein, strong stem, a commitment made if eaten raw, and filling. A strong-tasting, sometimes bitter green, as well as a potential source of gastro discomfort, kale can be off-putting to the uninitiated. Once charmed, however, the kale aficionado is an addict for life. Where I live, kale can be grown year round. Summer kale has a more tender leaf, but a hotter, more bitter flavor. It is a plant hounded by the ever-flittering white codling moth. A moth whose sole purpose in its 2-week flying existence, is to lay eggs on my kale. Summer kale sports tiny leaf holes, bites of food enjoyed by the moth progeny. As the weather in the PNW starts to cool, nighttime temperatures in the low 40s or below, happy chimes begin to peel for the kale. Cool temps mean farewell to the moths and welcome to sweeter taste. My favorite and usual way to prepare kale is to braise. I start with some olive oil, chopped garlic, and red pepper flakes. Once the garlic begins to sizzle, I add the kale, fattest stems removed, leaves torn into manageable sizes, with only the water still clinging to the rinsed leaves as moisture. I toss to cover the leaves with the oil, cover the pan with its lid, waiting only a few minutes for the leaves to wilt and take on the flavor of garlic-pepper-oil. Braised kale draped on an olive oil bathed pizza is lovely; bacon and kale on a pizza is crazy. White beans and kale make a deliciously thick soup. 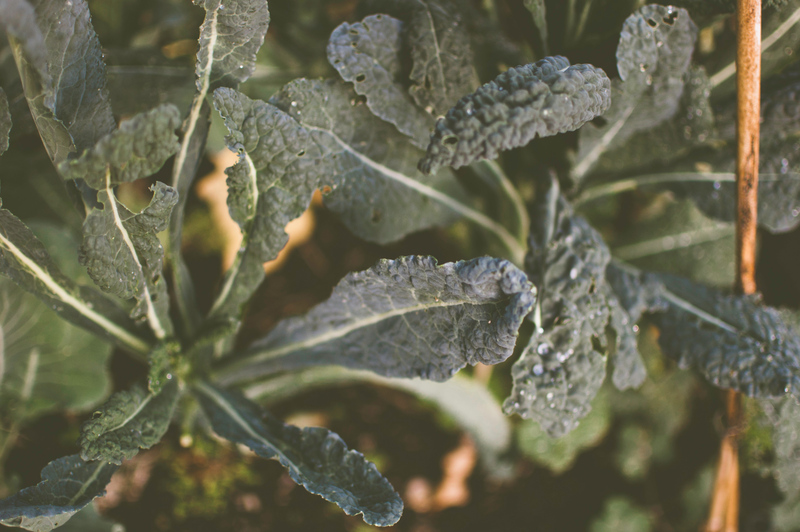 Kale massaged with salt and olive oil makes a more approachable raw salad. Kale sliced thin, tossed with julienned carrot, thinly sliced onion, apple-cider vinaigrette, and queso fresco is a tasty way to fill a tortilla. If you’ve not tried it, do. If you’ve only tried kale once, give it a second chance. I believe this is the food that kept Europeans in the far north alive and contributing to the gene pool. Go kale!